Details have been announced for the new Ultra HD Blu-ray format, ahead of its roll-out in time for Christmas. The Blu-ray Disc Association took the time at CES 2015 to release further details about its 4K format, which is officially called Ultra HD Blu-ray. Tech site Hexus reports that Ultra HD Blu-ray discs will have a maximum resolution of 3849 x 2169 and frame rates up to 60 frames per second. The new format notably includes support for High Dynamic Range (HDR) imagery. The Blu-ray Disc Association says consumers will instantly see the benefit of this technology, however not all movies shot in 4K are mastered with HDR, so it's really a future-proofing measure. The range of colours will also be wider and more varied on the new format (up to REC 2020 or BT2020) and there will be support for 10-bit colour depth. The discs will range from 66GB in dual-layer to 100GB in triple-layer while the players will support the 4K standard H.265 code and be compatible with HDPMI 1.2 and 2.0. Before you start prepping your old Blu-rays and DVDs for eBay, note that the Ultra HD Blu-ray players will be backward-compatible and will read your current collection just fine. According to the site, the complete technical specification is expected to be finalised by the summer so that format licensing can begin. Meanwhile the first titles and players are expected to be on the market before the end of the year. 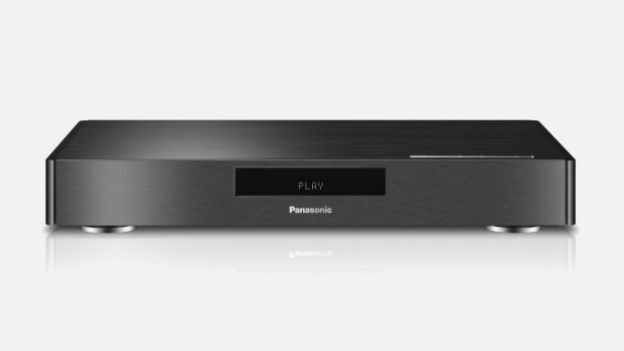 Earlier this week we reported on Panasonic's Ultra HD Blu-ray player which debuted at CES, making it the world's first tech firm to jump on the new trend.